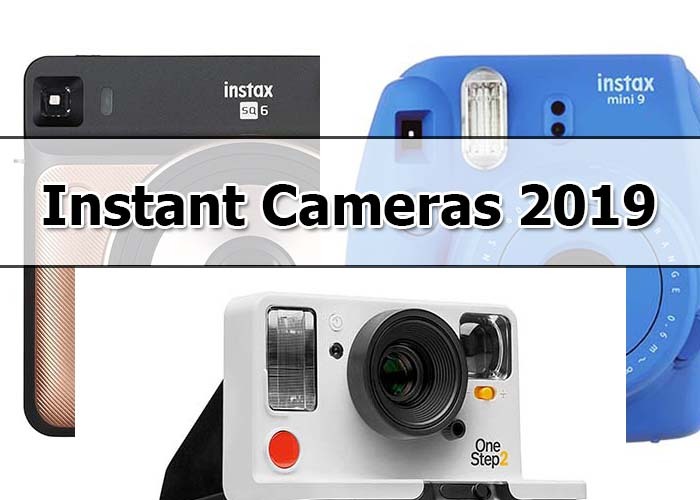 When we talk about instant camera 2019 , we have several new Instant camera models released to market in this year. 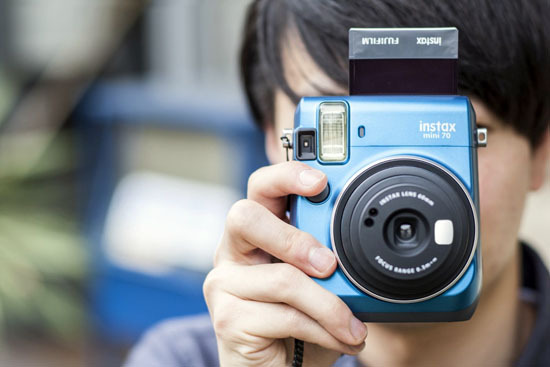 Polaroid has released a new and cheapest instant digital camera and Fujifilm has released the Next Camera in Instax mini series. 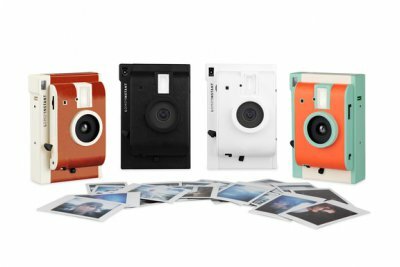 Another Important thing happened in this year is Impossible Project has launched their own instant photo camera. So it’s a quite exciting year for Instant photo camera fans. Your Budget. Yes it’s really important. All new Polaroid cameras are lot expensive than Fuji Instax models. All of these digital instant models cost you $150 or more (Only exception is Polaroid Snap). But these cameras are digital so you can save images into internal or external memory and move to other devices like phones or computer. Film Pack price. 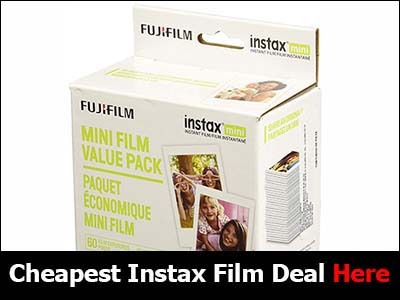 Both Instax Film and Polaroid ZeroInk film packs are lot cheaper than old Polaroid film packs and new Polaroid Originals Film packs. 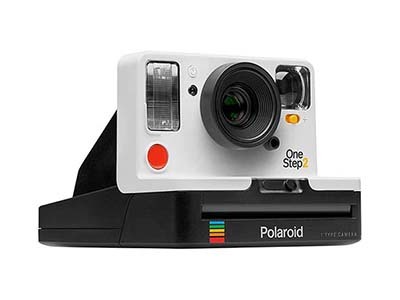 We have Polaroid Originals Onestep 2 camera which is relaunched but film cost is still higher than Instax or Zink film. But the good news new these film packs are getting cheaper. Type of Camera you want. If you need a vintage Instant camera then buy a Polaroid Originals OneStep 2 cam. For others it depends on what you need. If you need bigger 3 x 4 format prints then you can go for Fujifilm Instax 210 , Instax 300. For those who are happy with 2×3 Mini Film then there are plenty of options from Polaroid Snap to Instax Mini 9, Instax Mini 90 and Instax Mini Hello Kitty etc. Now there is new Film format, Instax Squre 3.4″ x 2.8″ Film. Which used by new Instax Squre instant cameras. If you want an old Polaroid Camera then you have only three models which still has film packs available. That’s news Polaroid Orginals 600 series, SX-70 series and Spectra series. Polaroid Mio and 300 cameras can use Instax Mini Film. Also if you want or have a Landcamera which use peel-apart type 100 instant film then you are lucky. You can use FujiFilm FP-100C film for those models like Polaroid 420, Polaroid 104, Polaroid Colorpack II etc. But Fujifilm has stopped making this type of photo paper so better stockpile while stocks available in market. Polaroid Originals OneStep 2 is the first instant camera released since Impossible Project Taken over Polaroid Co. in 2017. This camera look and feel like the vintage Polaroid OneStep but has many improvments to make users life easy. One of the biggest is new cam comes with arechargable battery. It can take new Type-I film packs which has no battery as well as Polaroid 600 Film which does comes with battery of it’s own. OneStep 2 has a ViewFinder and better Flas than it’s ancestor. Polaroid POP was released for it’s 80th anniversary. This digital instant camera has a 20 mega pixel CMOS sensor. Micro SD Storage upto 128GB. It uses 3.5 x 4.25 inch new Polaroid Zink photo paper which is quality wise so much better than old Polaroid film. This camera can do 1080p videos too plus have dual Flashes. It’s basically a digital camera which can print photos instantly. Some call it like an instant camera for selfies. Polaroid POP camera has a classy look too. 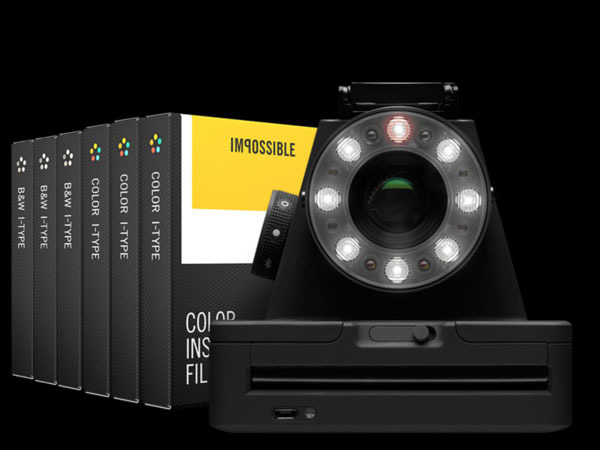 First ever instant film camera from Impossible Project Co. This one released in May 2016. A quite expensive camera if you compare with similar models. Impossible Project I-1 Camera is basically a Polaroid 600 model. The different is I-1 doesn’t relay on batteries on 600 instant film pack. It has it’s own battery. You can use Impossible Project 600 film. Polaroid Snap is nice and simple instant digital camera which was released in early 2016. This is the cheapest Polaroid camera in market today. It comes in five different colors. It’s compact camera which will fit into your pocket. Polaroid snap has a 10 mega Pixel Sensor so images are pretty good for an instant photo camera. 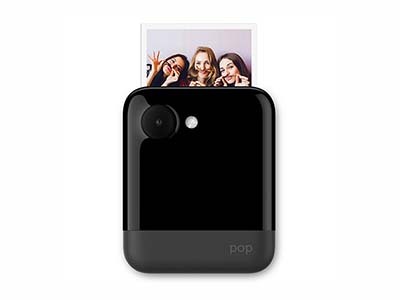 Snap camera uses new Polaroid Zink photo paper, 2×3 format type. This model powered by a built-in lithium ion battery. This is not a good thing in my opinion because if something goes wrong with battery camera would be useless. Fujifilm Instax Mini 70 is released in early 2016 and this camera is one of the best out there in market among analog instant cameras. It’s pretty much good as Instax Mini 90s camera. It has lots of features and options than older Instax mini models. If you are looking for instant cameras 2016 then I think this is the first camera to consider. It’s an bit expensive camera so I’m not saying it’s the best camera when it comes price but Polaroid Socialmatic camera is bridge between past and present. It’s an Instant camera which give instant photo prints just like any other instant photo camera out there but also it’s an instant digital camera. Which means you can save images, move images in or out or select which images you want to print and discard the rest. But that’s not all! This camera also has Android OS and Wi-Fi so you can edit and upload images to your favorite social media sites like Instagram, Facebook or Twitter. So it will popular among youths today since everyone connected to social media sites and most of youths are always updating things about their lives using photos. But like I said before this Polaroid camera cost you around $300. So it’s not a cheap instant camera. Fujifilm Instax 300 is the successor of Instax 210 camera. This camera looks so nicer than the old bulky 210 model. It cost you twice but I’m sure everyone who needs a Fuji Instant photo camera which print bigger photos would want this one just for it’s elegant look. Basically it’s the same camera just with different and new look. Instax 300 uses WIDE film which is 3 x 4 format. It’s similar to old Polaroid camera film but gives you better prints. Camera cost you around $140 and Cost per photo print would be around $0.80. Guys these days you can get this Hello Kitty Camera for less than $100 !! Original price was $250! Click the above image and check Amazon page for more details. If you are in USA then this is for you. If you are not then check local camera stores maybe it’s a worldwide special offer. This Mini Hello Kitty is Instax Mini8 camera with different more cute design they released for Fuji’s 80’s anniversary and 40th Anniversary of Hello Kitty. If you are a big Hello Kitty fan thing you would love this camera. All features are pretty much same as Mini8. This camera cost you around $100. It’s no longer too expensive and a good collectible item for Hello Kitty fans. Fuji Believe they will able to sell more than three million cameras even thought it’s not available in most local stores. It’s a good camera. One new feature this one has Mini8 doesn’t have is shelfie mirror like in Mini25 and Mini50s cameras. This Mini Hello Kitty camera is the cutest model among Instant cameras of 2019. LomoInstant Camera is another new model launched in last but released to market in 2015. You can get LomoInstant white camera for around $100 and Lomo’Instant Sanremo model the brown color one cost around $140. This camera was developed by Lomography as a peoples project. 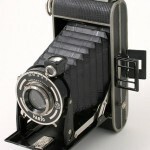 It was funded by Lomo and Instant camera fans around the world. You can buy this instant photo camera from stores around the world Specially the while color version is cheaper and available more commonly than Sanremo model. Other three models. It uses FujiFilm Instax Mini film. This camera has some pretty cool and advance features like built-in Wide Angle lens, three shooting modes, unlimited multiple exposures and also Infinite Long Exposure feature etc. Maybe it’s too early to give it five star rating but it might become serious competition to other advance Instant cameras like Fujifilm Instax Mini 90. At least it’s not expensive like other Instant camera 2016 models. It’s the only other camera in market after Mini 90s which has so many features giving you more control over your photos. Fujifilm Instax Mini 90s Camera is released in 2013 so now it’s been two years since this one has hit market but still it’s very popular among instant film camera fans. This is the best instant camera Fujifilm has released so far. It has lot’s of features to give you more control over photos. These days you can by Mini 90s from Amazon for around $150-$170 and it use Instax mini film which is one of the cheapest film packs available in market. If you are looking for camera which gives has more manual settings and you can take more quality photos then you should try this one. It might be little bit more expensive than other mini cameras but quality is lot better than any other in market. 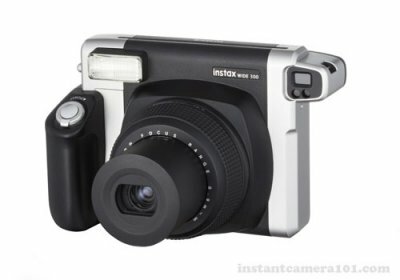 Instax Mini 8 camera is one of the most simple and also cheap instant cameras in market. It comes in eight colors and price depends on the color. 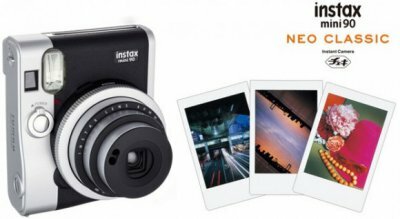 Among Instant camera 2019 list this one is quite cheap. But there is new model Instax Mini9. Powered by 2 AA batteries and uses Mini film packs. doesn’t have too many features like the Mini 90 model but price is lot less. If you are looking for a cheap instant camera then this one is one of the few new models out there in market. now that polaroid decided to get back into market, maybe they should also consider instant film for their old cameras. That would be nice if they consider the idea but no chance of that. I don’t think the market is not big enough for them to reinvest. My only hope is Impossible project will keep making film for those old Polaroids. This LomoInstant Camera looks very interesting. Also it’s only $140 which is not a bad price for an Instant photo camera. But my favorite is the Mini Hello Kitty Camera which is only $110 right now at Amazon. I love that camera because it looks so cute ! 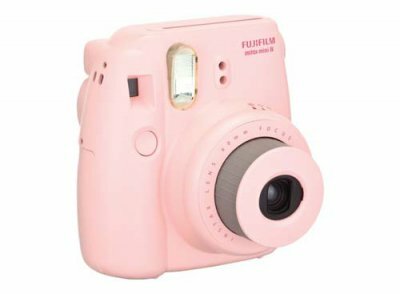 I think it would make a perfect gift for any instant camera loving girl ! 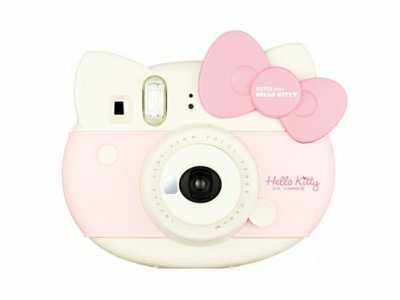 Instax Mini Hello Kitty camera price is now $86 ! Unbelievable ! But my favorite instant cam is the Instax mini 90 camera. It has best features from all of these models. 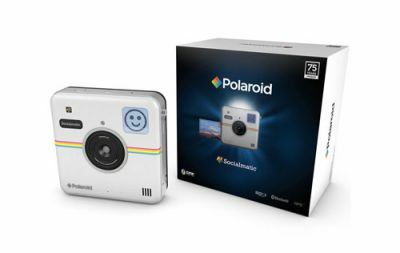 Polaroid Socialmatic for $300 is too much in my opinion. I don’t know why anyone would want to buy that for that price. I think few other models like z340 should be in this list even though those cams have been around few years. Polaroid has released another instant digital camera few months ago. 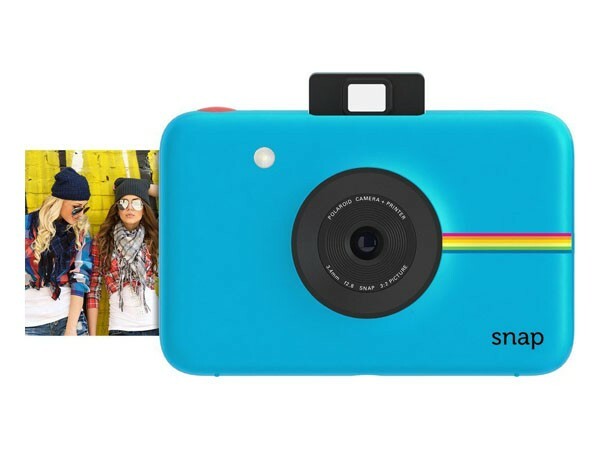 It’s called Polaroid Snap Instant Digital Camera. It’s the only camera they have in market which is around $100. Looks like made of cheap plastic and it takes Zink 2×3 photo paper. I think it should be added to the Instant camera list here. So guys what is the best Polaroid camera 2016 ? I have read about so many different models and it’s no longer easy to decided which model to buy. There is Polaroid snap camera and also Fujifilm offers Mini 70, Mini 90 and Instax 300 cameras.